Home » FAQ » What car color shows the least amount of dirt? Most drivers choose the paint color for their vehicle based on their emotional reaction to each shade. While this will get you into a new ride that expresses your unique style, it may not always be the best deciding factor, especially if you are looking to limit the amount of washing and care your vehicle requires. Before making your next car purchase, learn more about which exterior car paint colors are the easiest and hardest to keep clean below. While some vehicle detailers and drivers disagree about which car color options are the easiest to keep clean, virtually everyone agrees that black is by far the hardest. 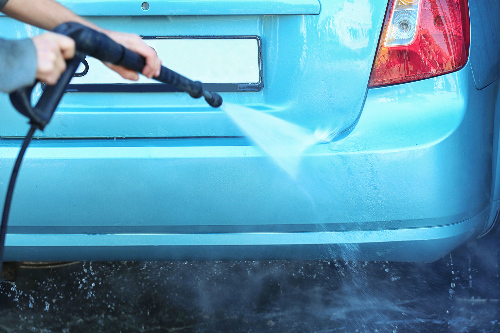 While black cars are one of the most impressive when shiny and clean, their dark hue makes it really easy to see dust, debris, grime, and paint scratches. 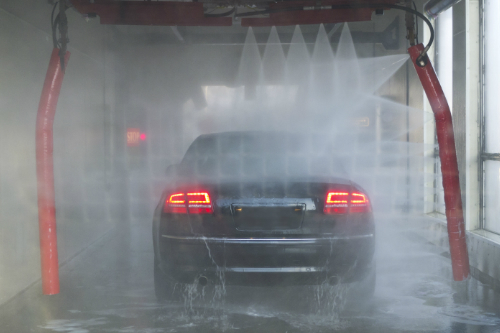 To keep everything looking fresh, drivers of black cars can expect to need a wash about once a week or more depending on driving conditions. Other car colors that are hard to keep clean are darker colors like dark blue and red. It’s perhaps no surprise that if black paint is the hardest car color to keep clean than light-colored cars would be the easiest. However, white paint, while definitely easy, is not necessarily the best choice for hiding dirt. While white paint will hide dust and debris well, dirt kicked up from the tires may be pretty visible. Car shoppers looking for cars that are easiest to keep clean should head towards light-colored options like beige, light blue, light grey, and silver. Keep following the Coast to Coast Motors blog for more automotive tips and tricks and be sure to visit one of our dealership locations throughout Oklahoma and Texas when you are ready for a vehicle upgrade. This entry was posted on Wednesday, April 10th, 2019 at 7:22 pm	and is filed under FAQ. You can follow any responses to this entry through the RSS 2.0 feed. You can skip to the end and leave a response. Pinging is currently not allowed.